Your home’s cladding, perimeter landscaping and exterior features should all work together to boost its curb appeal and keep the structure well protected from the elements. Since replacing the siding is a major investment, you need to do everything you can to help it last as long as possible. 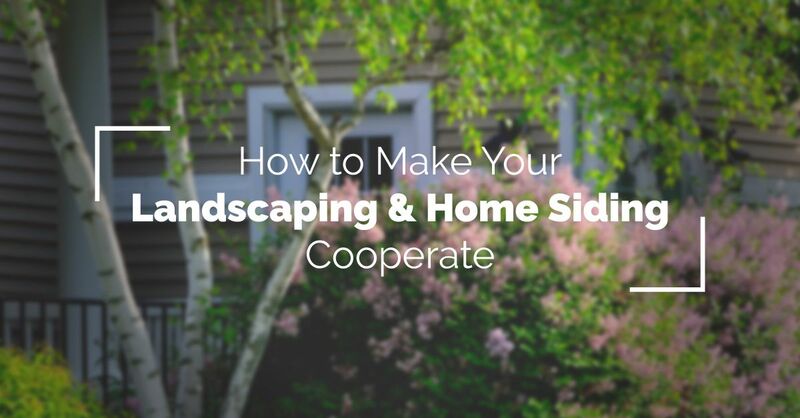 Here are some ways to ensure that your home’s structural features and the landscaping surrounding it aren’t causing unintentional harm and shortening the siding’s lifespan. One of the key functions of the roof overhangs is safeguarding the exterior walls and cladding from rot and decay caused by soaking rains and premature fading and deterioration from the blistering sun. If your overhangs seem too skimpy, have them assessed by a knowledgeable contractor. Check the growth rate and expected size at maturity of each plant to ensure that it’s a good fit. Place your chosen plants out far enough to avoid crowding against the foundation as they grow. If the gutters have pulled away from the fascia or are clogged with leaves and debris, they can’t function properly to carry away rainwater that flows off the roof. Instead, water will fall behind or overflow the troughs and run down the siding every time it rains. This is especially a concern if you have wood cladding that’s more susceptible to water damage. If your siding takes a daily beating from the water sprayed by your sprinkler system, the finish can show premature wear and damage, so make sure the heads are pointed so the water lands on your lawn. Even if the spray just hits the ground close to the foundation, the resulting splatter can eventually discolor or stain the cladding. For help and advice about caring for the siding on your Sacramento home, contact us today at Straight Line Construction.